I’ve been focusing on the business side of blogging a lot since I came back from BlogFest. I learned so much there that I want to apply to how I’m running my blog and my social media accounts. I’ve been working on some things behind-the scenes and playing around with some new toys like Periscope. 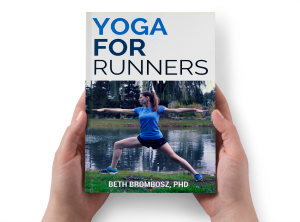 (Follow me at @runwithsunrise!) I have a lot of pie-in-the-sky ideas that I want to run with, but I’m a perfectionist, and I’m afraid to try anything unless it’s 100% there. I’m afraid of failure. But, to find true success, I think I start to need to dare to fail. Failure is scary, especially for those of us who are used to taking failure personally. If you fail an exam in college, it’s because you didn’t study hard enough. It’s your fault and your responsibility to get the work done to succeed. However, when you get out into the real world, failure often doesn’t result from hard work, but from other circumstances. Maybe you create a product that there just isn’t demand for. Maybe you write a blog post that you thought people would love that just falls flat. That’s okay. The more you dare to fail, the more likely you are to succeed. If 10% of your tries are going to succeed and you try ten times instead of five, you’re guaranteeing your success. When you dare to fail, you take more of those chances that you’ll find something that really resonates or sticks. When you try more, you’re getting practice at what it is you’re trying to do, whether it’s getting a BQ or finding clients for your business. There’s a reason why “practice makes perfect” is a common saying. Every failure brings you closer to success. My challenge to myself this week is to take a few risks and to dare to fail at a few things. Maybe you all will hate one of my blog posts, and that’s okay, because I’ll just write another one tomorrow. Without taking risks, I’ll never know my true potential, so I’m challenging myself to become less risk-averse, especially when that means just putting myself out there more. So, look forward to seeing more content (and more Periscopes!) from me as I try to figure out how to best serve you, my readers and followers. Because really, it’s all for you and helping you find out what makes you healthy and happy. A quick announcement for my blogger friends! 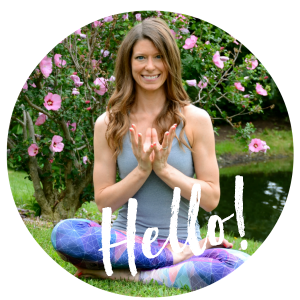 I’m finishing an Instagram course put on by Amanda Tress that has been so incredibly helpful and changed my outlook on a lot of what I do! She’s opening the class up again, so if you’re interested, I would very highly recommend checking out her Inspire Instagram Academy! Feel free to email or message me if you have questions about the course and what I thought of it—I’m happy to answer them! What are you challenging yourself to this week? Being afraid of failure has really held me back. I’ve been listening to a lot of the Chalene Johnson podcasts lately and she talks about this topic alot. It’s scary but I realize you just need to put yourself out there and go for it. If you wait for things to be 100% perfect, you’ll never do it. Her podcasts are so great, right? I’ve learned so much on my commute lately because of her stuff. And you’re absolutely right about not waiting for things to be perfect. It’s scary to think of as someone who’s a total perfectionist, but ultimately I’m probably wasting a lot of time trying to make things absolutely perfect. 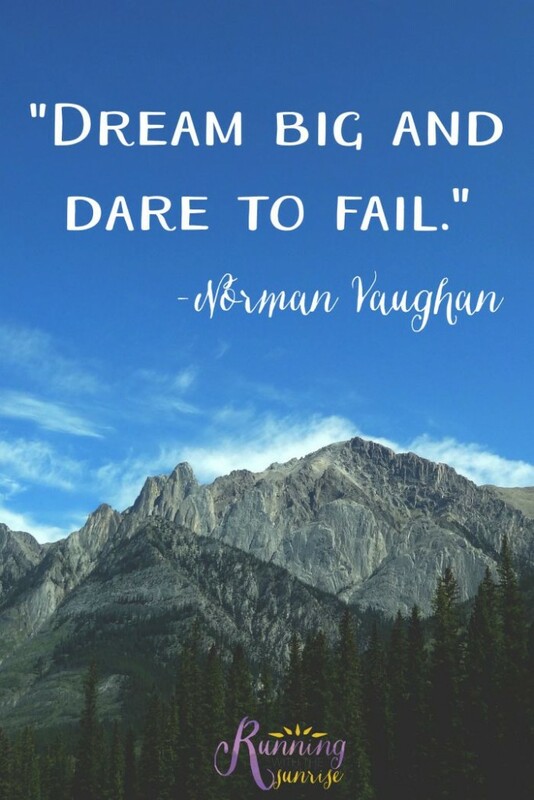 I love the concept of daring to fail. The best things certainly don’t happen in the comfort zone, but when we go out on a limb. Thanks for this post! I’m really risk averse and have to keep reminding myself to get out of my comfort zone and that it’s ok to fail at times. I am in the same boat as you – all these huge ideas for what I want to do for my blog and business, but maybe a bit of a perfectionist. Amen, Abby! PS I think we might be signed up for the same mentorship program with Amanda–the one in September, right? So excited! It’s so hard to accept failing.. but I’ve found that when I do, and when I work hard to overcome it a second time around – it makes everything so worth it. I’m absolutely a recovering perfectionist. Even putting the blog survey out was scary for me, but I’m so glad I got the feedback I did! I’m guilty of having ideas and then just stopping because, what if someone doesn’t like them – that means they don’t like me. Totally not true, but that’s what goes through my brain. Fear of failure definitely holds me back. I tend to be overly analytical and very much a planner, so sometimes just taking the leap without every single detail laid out is the hardest part for me. I’m excited to see what you have in store for the blog! Fear is such a huge inhibitor and even though it’s important to move past it, sometimes it takes awhile before we can work up the courage. Taking risks is so important and I’m hoping to be better about doing that! Fear has definitely been a reason for me to avoid or stop doing something. This is an awesome reminder! Yes, authenticity is key! It’s good to create helpful content, but it has to be about a topic that you’re passionate about. Failure and even just effort and the fear of investing so much effort into something only to “fail” is terrifying. Something that I’ve had to come to grips with is that maybe it isn’t failure, maybe it is just a success that I hadn’t thought of.